Star Parties, Night Classes and Dark Sky Adventures. Almost every summer vacation activity requires sunscreen but not star parties. Even better for those who are not morning bunnies, star parties conveniently occur after sunset. Stargazing with an astronomer as a guide has a magical quality in spite of the real science and history involved and the use of red pin lights makes everything seem authentic. The fascinating myths associated with the night sky and the location of constellations by season makes for a great, perhaps slightly geeky party experience to share with your kids. 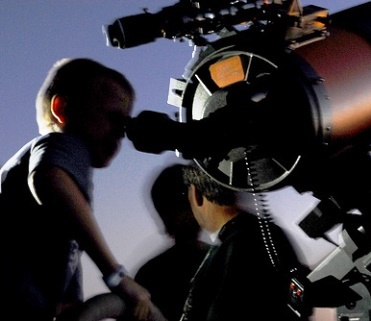 Arizona star party time where families have fun sharing real science in real time with real telescopes. So where’s the party? Remarkable programs span the continent from Virginia, Minnesota, and Arizona to California, New Mexico, Texas, and Utah, each experience varying in scope based on geographic location. In the past few years I have had the opportunity to stargaze with my family several times. My list of suggestions is short but well vetted. A McDonald Observatory West Texas star party is a celestial trip with no sunscreen needed. 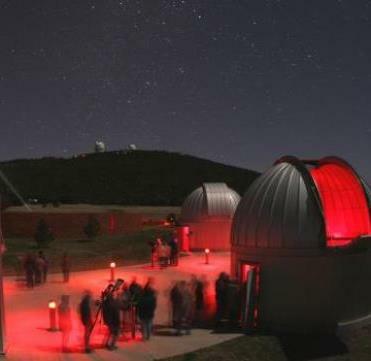 Sky watching in West Texas at McDonald Observatory offers unimaginable views of the planets and constellations from several telescopes of varying sizes. Night sky safaris from Kitt Peak National Observatory near Tucson will amaze even the most jaded teen. Like MacDonald, Kit Peak is an active astronomical research complex and a place to view what scientists view daily. The night sky is strong at Carlsbad Caverns National Park in New Mexico. From June through October each year rangers at Carlsbad conduct a series of free night sky programs that pack an extra WOW! Astronomy Rangers rule at Bryce Canyon National Park in Utah. Organized star parties are held each night facilitated by Astronomy Rangers who monitor more than 40 telescopes scattered around the park. The free monthly star party at Griffith Observatory above LA is inspiring. If none of the star party dates fit in your schedule, no worries because free public telescope viewing is available each evening the Observatory is open and weather permits. As always I welcome feedback. Do you have a favorite Dark Sky spot?